EU adopted its policy framework on support to transitional justice at the Foreign Affairs Council on Monday, November 16. 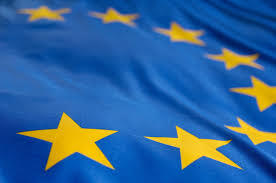 The EU is already active in supporting transitional justice through its conflict prevention, crisis response and peacebuilding, security and development activities. It is one of the largest financial contributors to transitional justice initiatives worldwide, providing financing to justice, truth seeking initiatives, institutional reform and reparations programmes including through support to civil society and victims’ groups. The policy framework seeks to ensure that the EU continues to play an active and consistent role in its engagement with partner countries and international and regional organisations in support of transitional justice processes. The EU stresses the need for a context-specific, locally owned approach to transitional justice with the rights and participation of victims at its heart. The EU promotes a comprehensive, long-term approach to transitional justice aimed at fighting impunity, providing recognition and redress to victims, fostering trust, strengthening the rule of law and contributing to reconciliation and non-recurrence. Any such process must be locally and nationally owned, inclusive, gender sensitive and respect states’ obligations under international law. Therefore, the participation of civil society, victims, persons belonging to minority groups, women and youth in such processes plays an important role. Transitional justice is seen today as an integral part of state-building and peace-building and therefore should also be embedded in the wider crisis response, conflict prevention, security and development efforts of the EU.